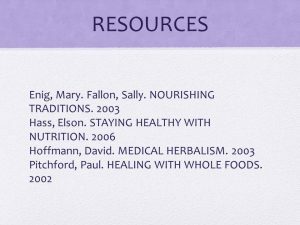 This is from a presentation that Mississauga Naturopathic Doctor Tiffany Wyse did for Goodness Me Mississauga in the Spring of 2017. 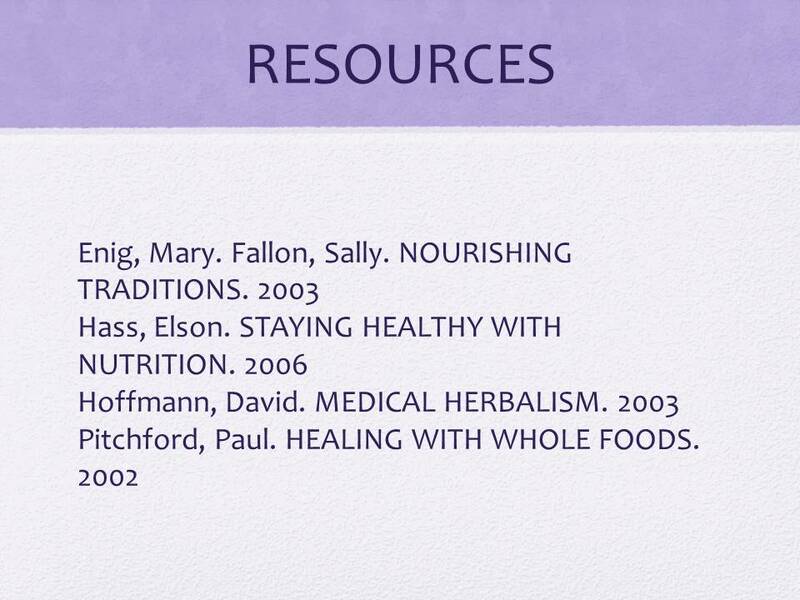 For questions and to implement these Naturopathic strategies, connect to Dr. Tiffany at Erin Mills Optimum Health. 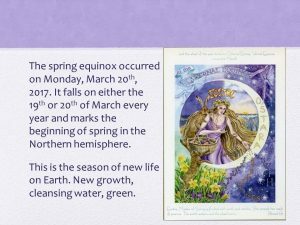 The spring equinox occurred on Monday, March 20th, 2017. It falls on either the 19th or 20th of March every year and marks the beginning of spring in the Northern hemisphere. This is the season of new life on Earth. 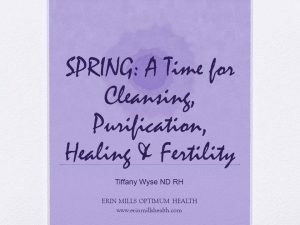 New growth, cleansing water, green. We begin to see worms emerge from the earth. 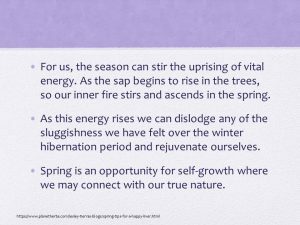 For us, the season can stir the uprising of vital energy. 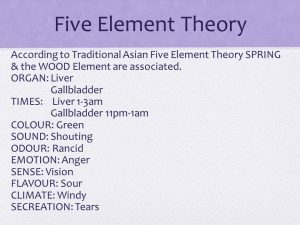 As the sap begins to rise in the trees, so our inner fire stirs and ascends in the spring. 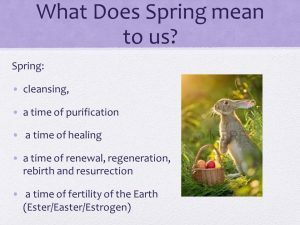 As this energy rises we can dislodge any of the sluggishness we have felt over the winter hibernation period and rejuvenate ourselves. 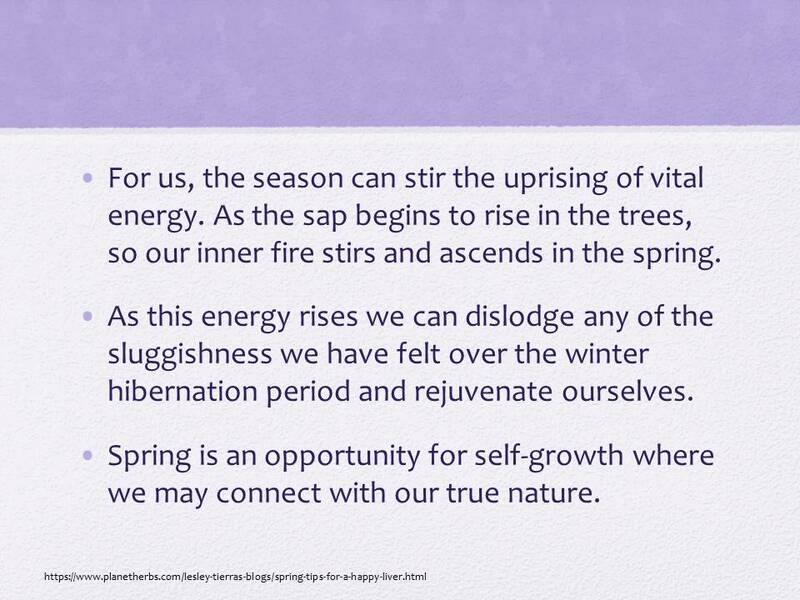 Spring is an opportunity for self-growth where we may connect with our true nature. 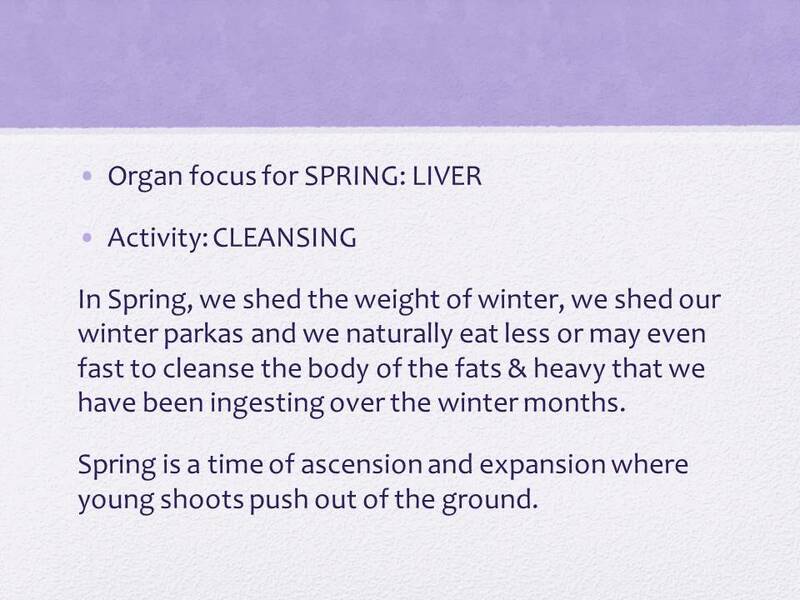 In Spring, we shed the weight of winter, we shed our winter parkas and we naturally eat less or may even fast to cleanse the body of the fats & heavy that we have been ingesting over the winter months. 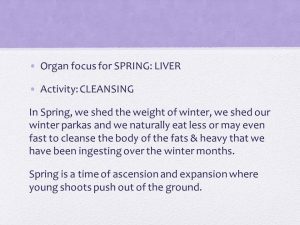 Spring is a time of ascension and expansion where young shoots push out of the ground. 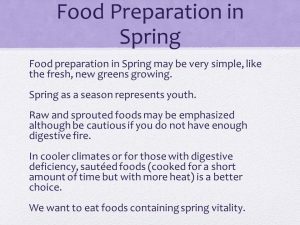 Food preparation in Spring may be very simple, like the fresh, new greens growing. 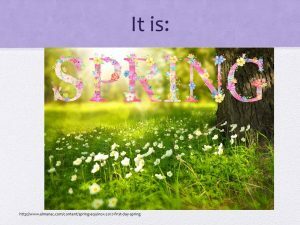 Spring as a season represents youth. 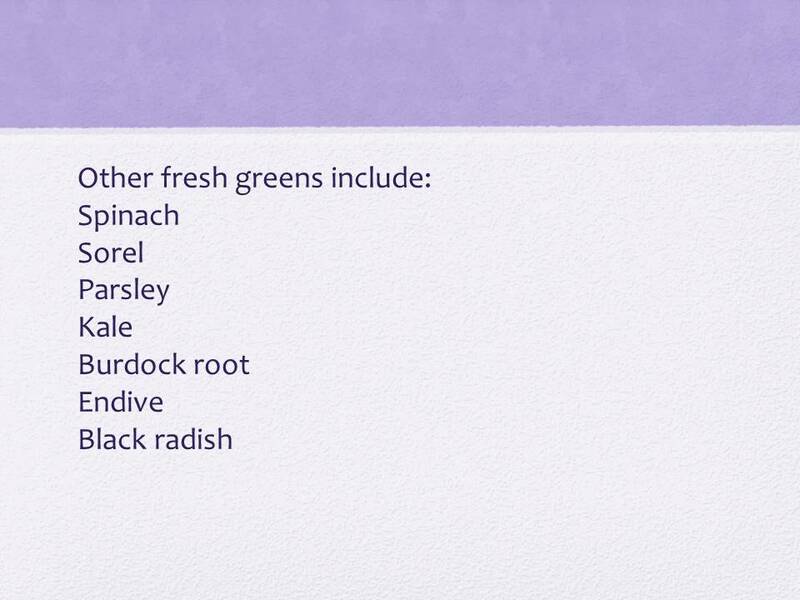 Raw and sprouted foods may be emphasized although be cautious if you do not have enough digestive fire. 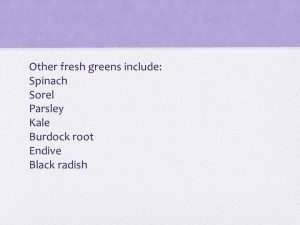 In cooler climates or for those with digestive deficiency, sautéed foods (cooked for a short amount of time but with more heat) is a better choice. 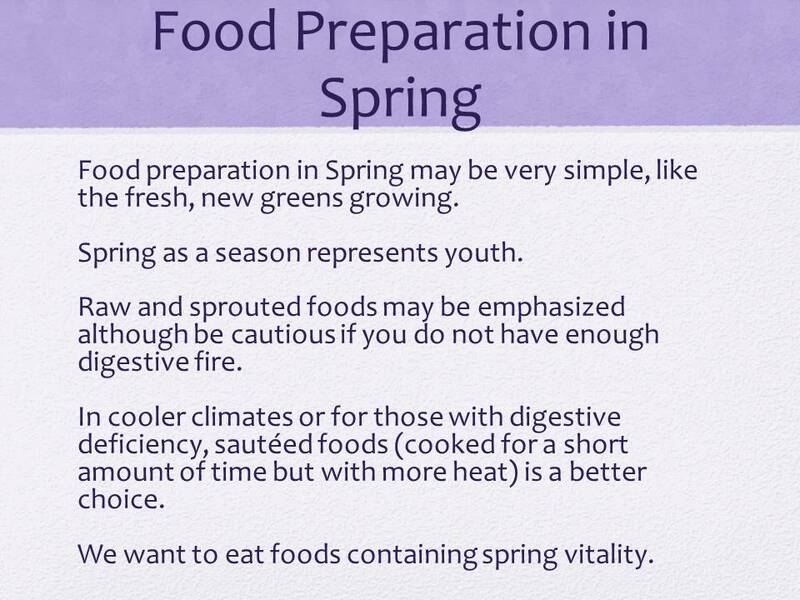 We want to eat foods containing spring vitality. 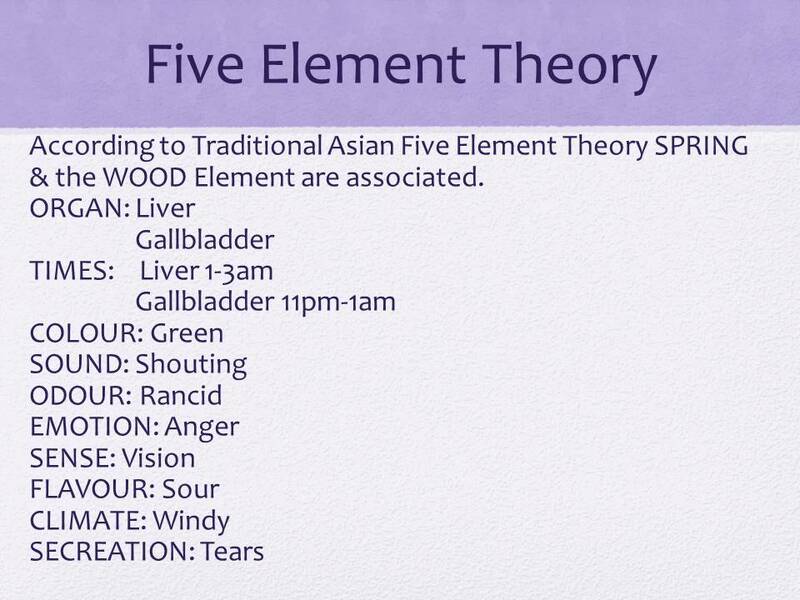 According to Traditional Asian Five Element Theory SPRING & the WOOD Element are associated. 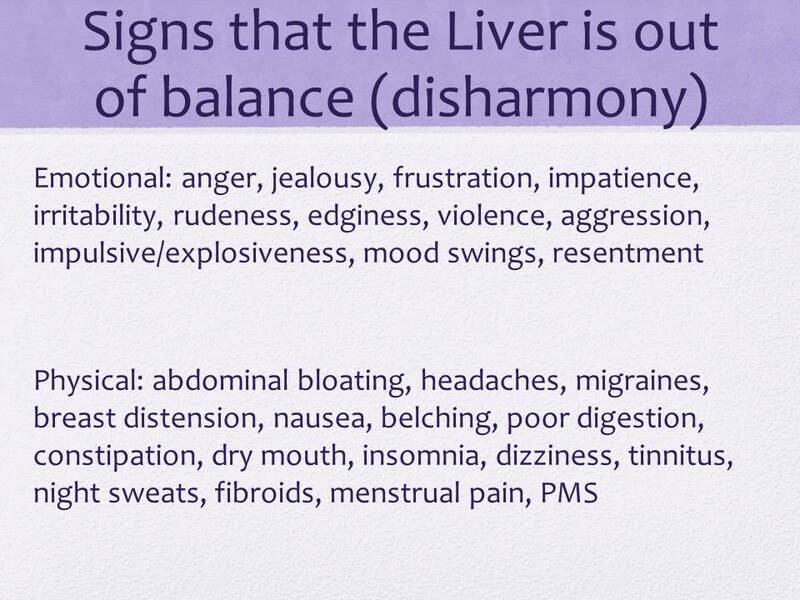 When the liver is harmonious there is little stress or tension. 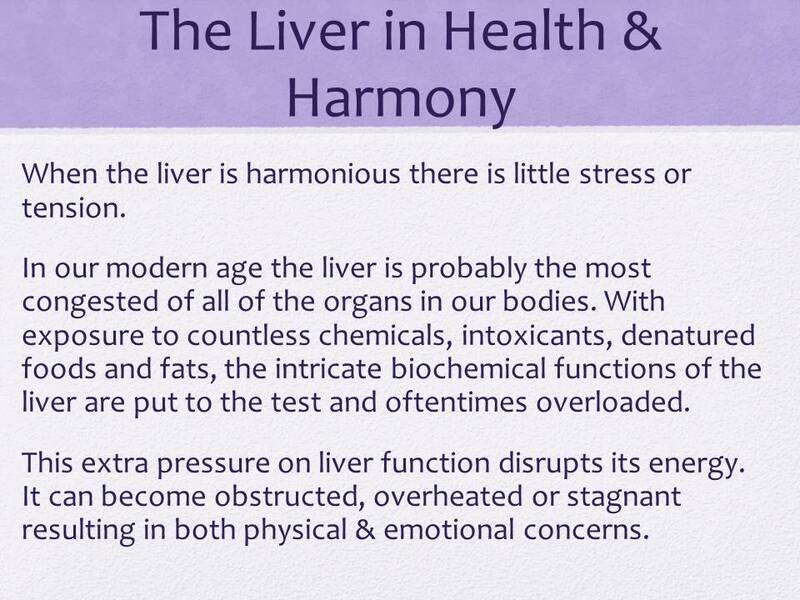 In our modern age the liver is probably the most congested of all of the organs in our bodies. 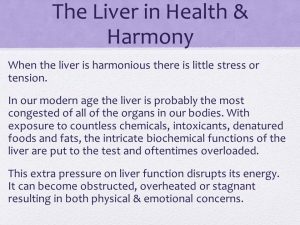 With exposure to countless chemicals, intoxicants, denatured foods and fats, the intricate biochemical functions of the liver are put to the test and oftentimes overloaded. 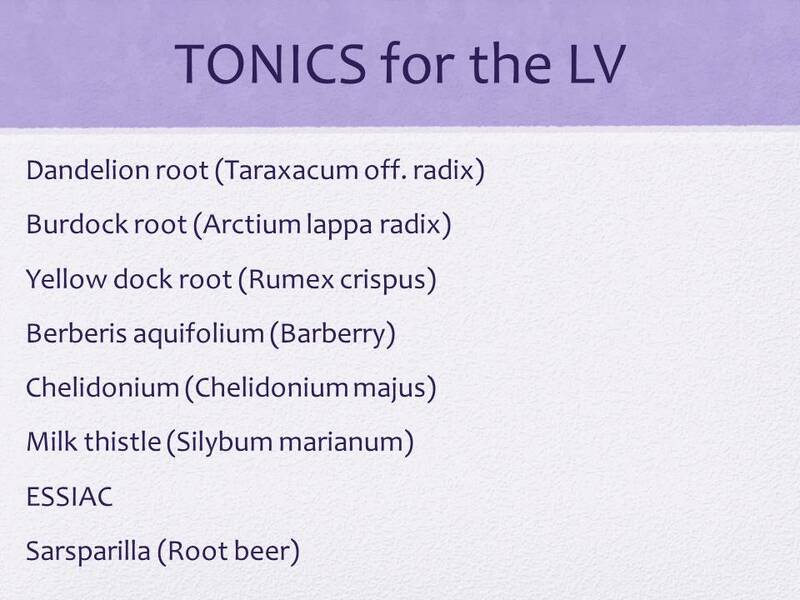 This extra pressure on liver function disrupts its energy. 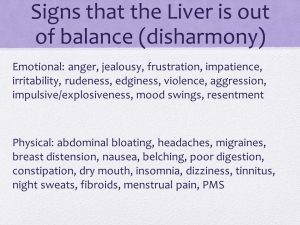 It can become obstructed, overheated or stagnant resulting in both physical & emotional concerns. 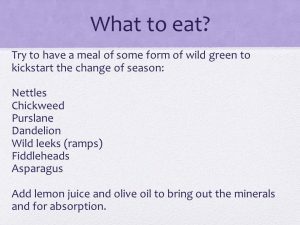 Add lemon juice and olive oil to bring out the minerals and for absorption. 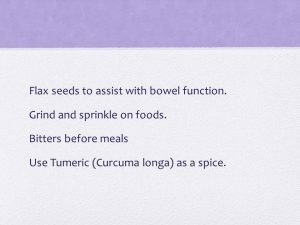 Flax seeds to assist with bowel function. 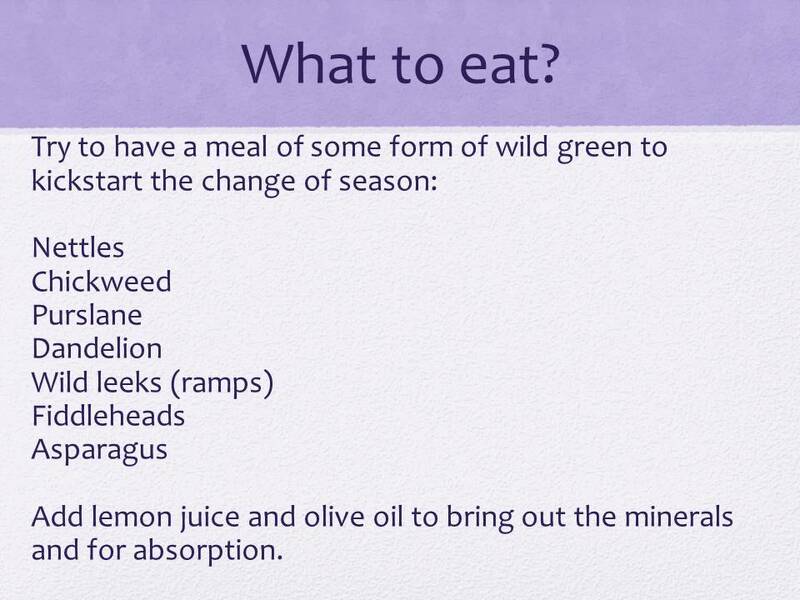 Grind and sprinkle on foods. 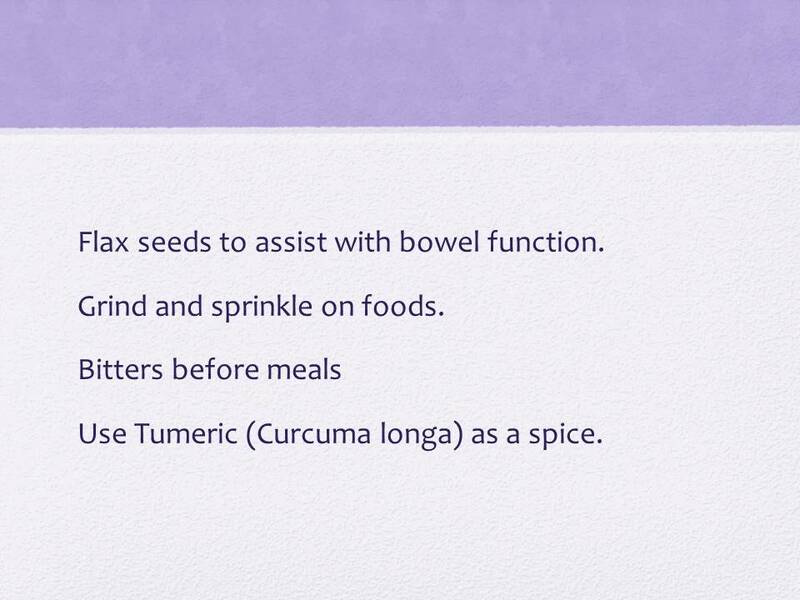 Use Tumeric (Curcuma longa) as a spice. 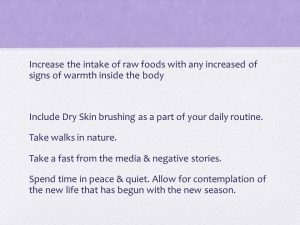 Include Dry Skin brushing as a part of your daily routine. Take a fast from the media & negative stories. 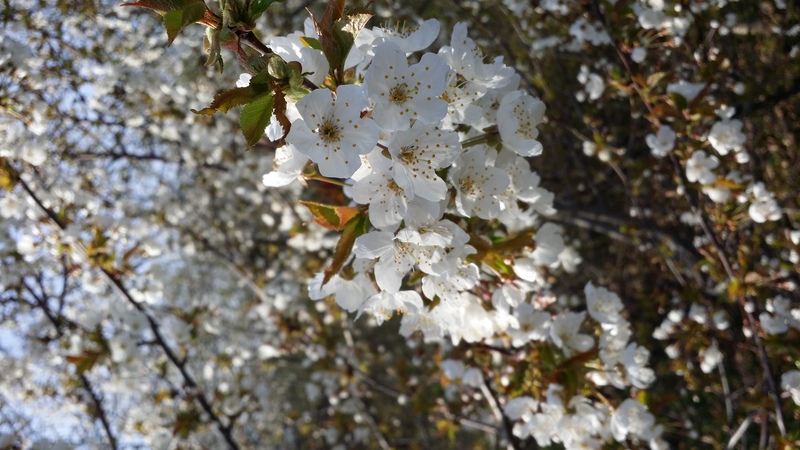 Spend time in peace & quiet. 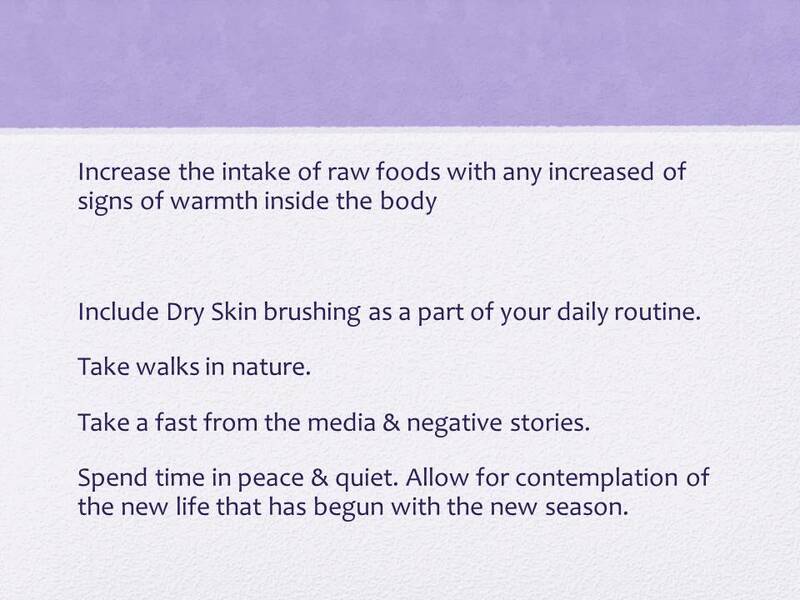 Allow for contemplation of the new life that has begun with the new season. 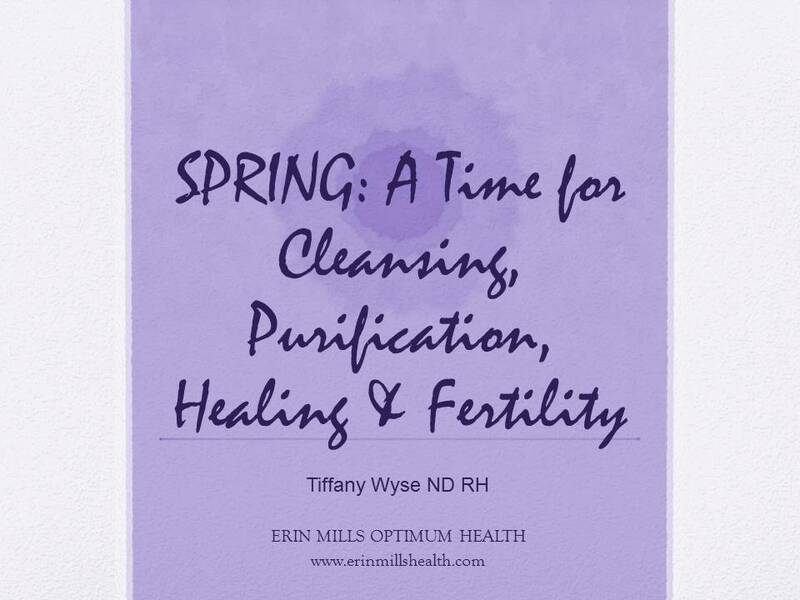 It’s time to Spring into Health. Take advantage of the warmer weather by getting outside and moving. Upcoming talks on achieving Optimum Health will be on April 10th, April 17th, April 22nd, and April 29th 2014 Talks are at 2pm at the office. 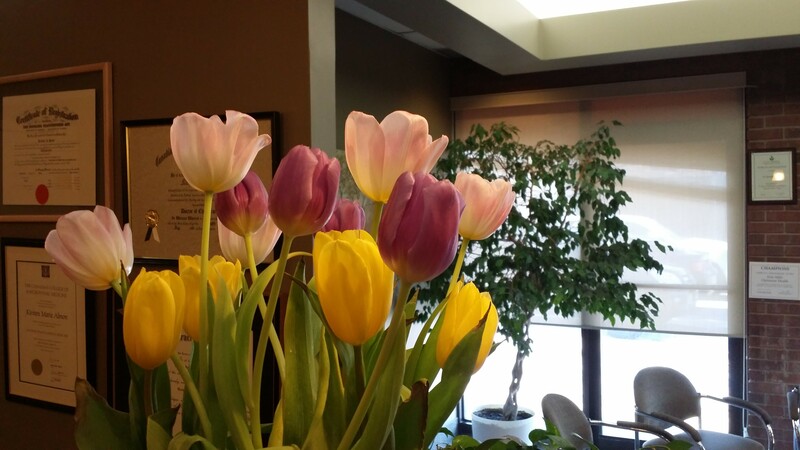 The warmer weather is on its way. 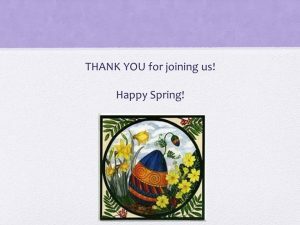 With this warmer weather our patients get out of their hibernation and get back to all the activities that they were missing. I had the opportunity to walk the parks in Erindale, Mississauga with my wife and our 5 week old daughter this weekend and it was incredibly refreshing. 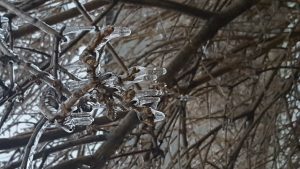 This is one of the first times that the weather is not in a state of “extreme cold warning” that we felt comfortable strolling outdoors with our newborn. Not only were we getting a breath of fresh air, but there were countless of other people in the neighbourhood doing the same. 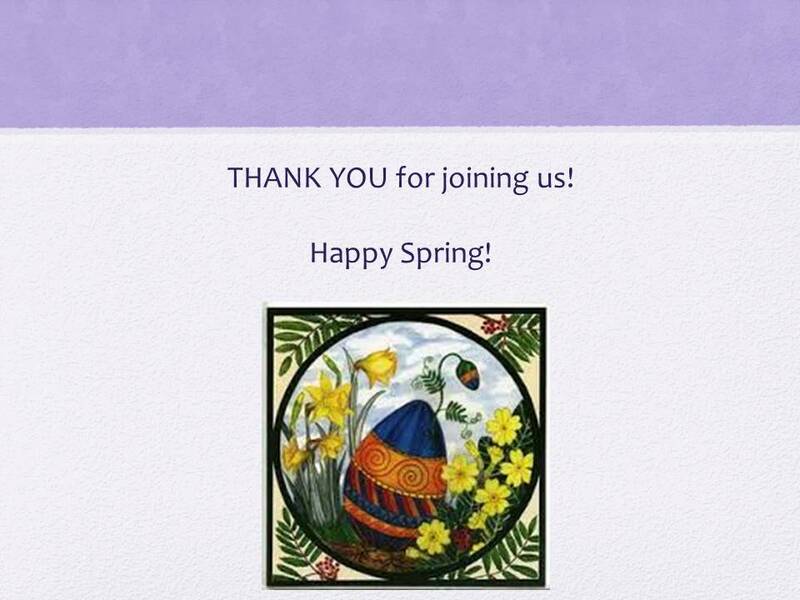 I hope you are able to get out for a breath of fresh air as well! 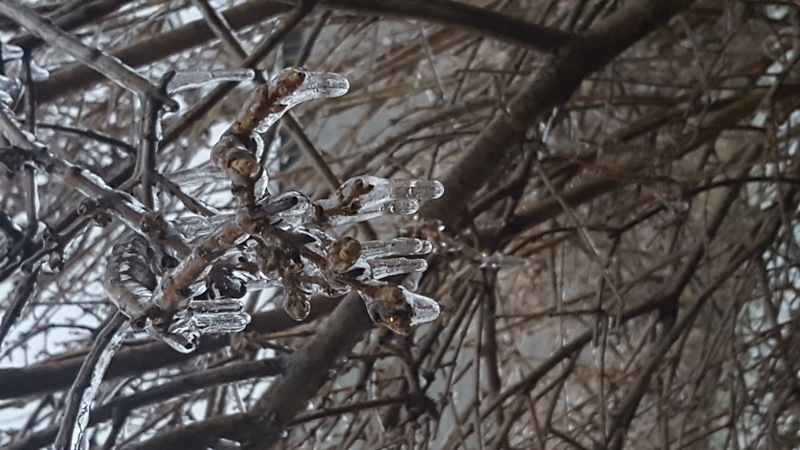 As our weather in Mississauga comes out of the “extreme cold warning” we start seeing puddles again. But these puddles have been freezing over night and becoming the dreaded black ice. 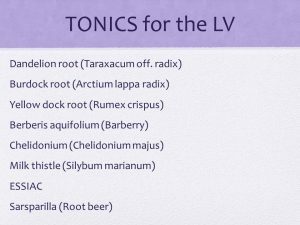 Five patients have slipped on the ice in the last week aggravating their backs, sacroiliac joints, wrists, Chiropractic tests we can determine if your body has become subluxated due to the fall and help you speed up your recovery. It is these little slips and falls that build up throughout life and if left unchecked make it harder as we age. 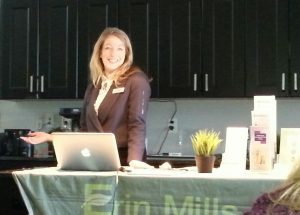 We are here to help you in Mississauga at Erin Mills Optimum Health!